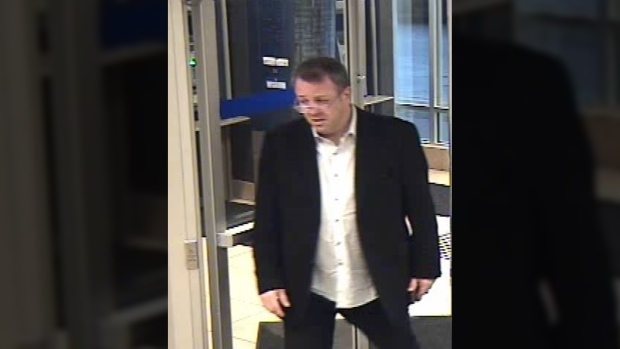 Nanaimo RCMP is asking for the public's help identifying a male who allegedly committed financial fraud at RBC locations across Canada, including on Vancouver Island. Two incidents totaling $11,500 in theft are being investigated. They occurred at the Brooks Landing and Commercial Street RBC branches in Nanaimo on Dec. 11, 2018. 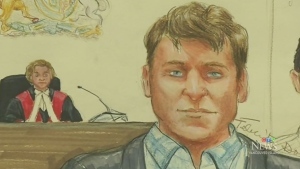 The man is alleged to have stolen an additional $58,500 through other fraudulent transactions at RBC locations in Quebec and the Lower Mainland. He allegedly obtained identification from existing RBC clients and used it to attend five locations throughout Quebec in March 2018. In November 2018, the same man was alleged to have committed eight fraudulent transactions in Surrey and Langley before obtaining $8,000 at a Parksville location on Dec. 12, 2018. He is described by Nanaimo RCMP as being Caucasian, between 45-55 years old, heavy set with dark hair, and wearing glasses. If you have any information on the suspect’s identity or whereabouts, Nanaimo RCMP request that you contact them or Crime Stoppers.